User1: what should I give sister for unzipping? User1: no I mean like, WinZip? Please, someone else tell me they find that as funny as I do. 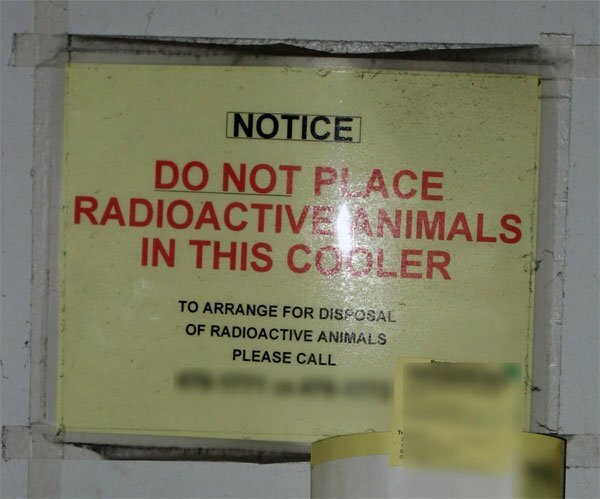 So just where *DO* we put our radioactive animals? Will we be seeing an up-to-date return of the classic Archon sometime soon? For consumers to continue to experience the variety and quality of movies they expect, piracy must be controlled. The entertainment industry recognizes the potential of technology to deliver content in new and exciting ways. However, the looming threat of piracy can thwart innovation. Additional information (and useless techie-geek rambling idiocy with occasional useful and insightful commentary) at Slashdot. This is kinda old news, but since I’be been on a case-mod-seeing virtual self-guided tour lately and came upon it again, I figured it wouldn’t hurt to post it. 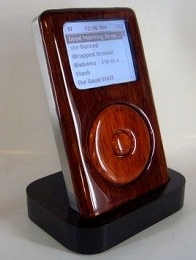 Wanting to improve the appearance of his iPod, ZapWizard decided to create a new custom face-plate for it. You can see his excellent write-up (with pictures) of how he created this beauty. Seeing this makes me weep for my lack of hand-skills. This photo is snagged from the original article at Bit-Tech and cropped. Apologies for cutting off the bit-tech identifier, but I wanted a narrower pic for my site. I just want to make sure no one thinks I’m taking any credit for the image as posted. All respect to the original article hosts at Bit-Tech and the fantastic write-up for it by ZapWizard. Bionic eyes within 2 years? I’ve avoided posting about this because it seemed like most people wouldn’t be interested in it, but since I’m seeing stories about bionic eyes on almost every web site I frequently visit, I figure I need something up about them here, too. Work on these eyes has been underway for a while, and an improved version of already-in-testing eyes appears ready for trials on humans. At the annual American Association for the Advancement of Science, a research presented the idea that the blind could have their vision restored, thanks to bionic eye implants which would be available to patients in the next two years. The first of such an implant has been in the works for five years now. Patients fitted with older versions of the “bionic eyes” have been reported to be able to see light, shapes and movement. Newer versions with higher resolution has recently been developed; the US Food and Drug Administration has already approved the implant of these devices in an exploratory patient trial happening across America in two years. This is not a general cure-all for loss of vision, as it only applies to certain forms of blindness. Also, the device requires an external processing unit for now, but over time miniturization should help with that tremendously. Improving from 16 pixel units 5 years ago, the soon-to-be-tested new version offers 60 pixels and fits in about 1 mm2. Find more details at the BBC.